Cheryl Fernandez-Versini, Rita Ora, Simon Cowell and Nick Grimshaw were faced with the incredible task of choosing who would sit on a chair on their team as the remaining 64 contestants needed to become 24. EF was watching and here is our recap of all the action. First we found out who the judges were mentoring this year, the decision was made by public vote however and the results were not surprising; the girls this year will be mentored by Rita, Simon got the overs, which he seemed to take personally, Nick got the boys and Cheryl is tasked to look after the groups. The girls were up first and Katie Coleman was first on stage but unfortunately went on to a really shaky start trying to sing a big song and it didn’t really work out as the judges all agreed she didn’t do her best. Rita Ora had the really hard task to tell her she didn’t get the first chair. Karen Mav on the other hand managed to capture the audience and the judges attention just fine hitting some impressive notes and doing so seamlessly. Rita didn’t have to think too hard about giving her a chair. Another lucky contestant was Chloe Baker who also managed to secure a chair. It was all too familiar for Monica Michael, who left the competition in 2014 after the chairs challenge and for that reason the singer seemed to be on top form and gave a great performance. All the judges praised Monica and she secured chair. Hoping to have place on Rita’s team also was Sharon Rose, who sang beautifully and we loved how fragile and powerful she was all at once. Choosing to be brave was Chloe Paige, who decided to sing Amazing Grace acapella and did so brilliantly. Rita was left with little choice but to put her on a chair. Cheryl said that she had what it takes and Simon thought she was nuts but deserved a place on a chair and also on the finals. Hoping to get the last space was young contestant Charli Beard, who seemed to breeze through all the other stages of the competition and the judges seemed to agree with us saying she’d smashed it and that she should get a chair. Rita gave her a seat but that meant that there were no more seats to be taken and the competition about to get really interesting. It was always going to be hard once all the chairs got filled and when Louisa Johnson came on stage she was ready to fight for a chair. The voice that came out of the young 17 year old girl was just impressive. She earned a standing ovation from the crowd and the judges, which put Rita in a tough position. It was hard but Chloe Paige had to give up her seat. Bringing a bit of rawness to the competition is shop assistant and favourite, Havva Rebke, who decided to sing an acoustic version of No Diggity. Her unique style paid off earning her a chair, unfortunately this meant Charli Beard had to lose hers. Poor Rita really started to feel the weight of the competition but had to carry on picking her team. 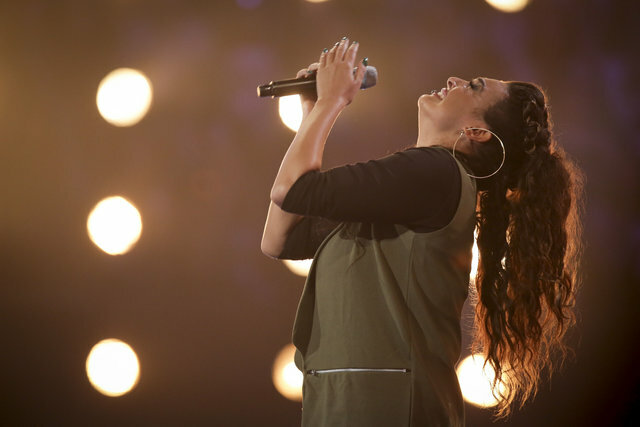 Singing to stay in the competition was Kiera Weathers, who hoped that a rendition of I Will Always Love You for her deceased mother would put her through. Simon thought that she’d turned the competition on its head and Rita gave her a seat. On the flip side this meant that someone had to give up their chair and this time around it was Karen Mav, which was a surprise. Hoping she would secure a chair was Kelly Mai Webb with her performance of Because The Night but the poor girl couldn’t remember part of the lyrics and her mistake cost her a space. Lucy Duffield gave a great performance and was incredible singing Natural Woman but Rita wasn’t sure she could mentor her. Lucy managed to snap Sharon Rose’s chair. Sophie Plumb tried to win her place in the competition singing her version of Adele’s Turning Tables. The crowd loved the performance but it was Rita who had to make a decision. Simon didn’t think her vocals were on point and Rita ultimately had to turn her down. Last but not least was Lauren Murray who sang beautifully one of Jessie Ware’s songs, she was one of the highlights of the show tonight. Nick thought that Lauren had the whole package and Cheryl thought it was beautiful but Simon wasn’t sure about her vocals but still thought she should be taken through. Rita had to one final time swap a contestant and this time it was Lucy Duffield. This means that going through with Rita Ora will be Lauren Murray, Kiera Weathers, Havva Rebke, Louisa Johnson, Monica Michael and Chloe Paige. The X Factor returns next Sunday night at 7pm on ITV.